“Almost all OPEC countries, except perhaps the Arab bloc, are very uncomfortable,” she said. As the cartel’s president, she is responsible for maintaining communication with member countries and Secretary-General El-Badri in case of an emergency meeting. Alison-Madueke expects prices will stabilize at least at the current level, because otherwise it would be difficult or even impossible for some cartel members to implement their planned budgets. At a time of publication Tuesday, Brent crude was trading at $59.95 dollars per barrel, with the price for WTI crude at $49.89 per barrel. Despite the president’s willingness to hold an emergency meeting, OPEC’s de facto leader Saudi Arabia is unlikely to participate, say market analysts. 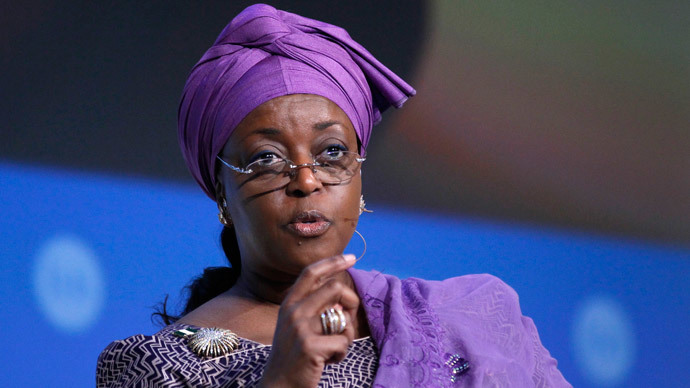 Alison-Madueke stressed that OPEC cannot stabilize the oil market alone, that’s why the cartel should consult other key oil producers such as the United States, Russia, as well as global groups like the International Energy Agency and G20. The last OPEC meeting was held in November 2014. The members of the cartel then decided to leave oil output unchanged at 30 million barrels per day. Many experts consider it an attempt to protect OPEC members’ share of the global energy market. Oil prices reached their six-year low in January, losing more that 50 percent since summer 2014. However, in February the price of Brent crude stabilized at around $60 per barrel.